From today until next Friday, February 19th, the free KTQ50 film is Trick Bag. The film takes us into the Collective era: a period from 1970-78 when Kartemquin's Gordon Quinn and Jerry Blumenthal added multiple members to the organization with the goal of collaboratively producing activist films. Members included Suzanne Davenport, Jenny Rohrer, Judy Hoffman, Teena Webb, Betsy Martens, Sharon Karp, Peter Kuttner, Richard Schmeichen, and Alphonse Blumenthal. Trick Bag presents gang members, Vietnam vets, and young factory workers from Chicago's neighborhoods telling their personal experience with racism: who gets hurt, and who profits. The project grew out of Peter Kuttner's association with Rising Up Angry, a radical working-class organization, many of whose members are featured in the film. 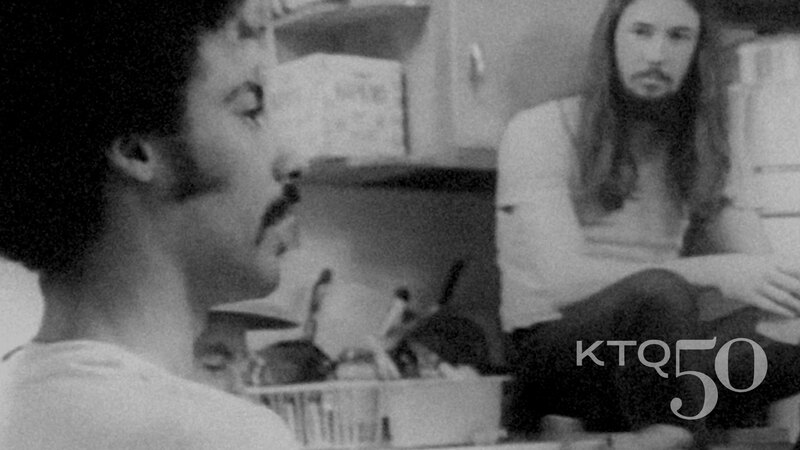 - Audio Interview: Kartemquin Collective member, Peter Kuttner, and Director of Communications and Distribution, Tim Horsburgh, sat down in the storefront at 1901 W Wellington to talk KTQ history and filmmaking. - Festival Certificates: Trick Bag traveled to Germany's Leipzig International Documentary Film Festival, earned the Chicago International Film Festival "Merit Award", and participated in the Los Angeles' Filmmex Festival. A 50 years of Kartemquin art exhibit featuring historical photographs, artwork, and video and film mechanics. The exhibit will be open May 20, 2016 through August 20th. Throughout 2016, monthly WTTW PBS broadcasts of our films. Multiple retrospectives and premiere screenings across the nation, including at the UCLA Film & TV Archive in Los Angeles in fall 2016. A series of Chicago screenings and events. Various workshops, panels, and master classes hosted by our filmmakers and associates. Read more about our plans and how we announced them, and please contact us to get involved.